Meet Nikki Maxwell (aka Queen of the Dorks!) 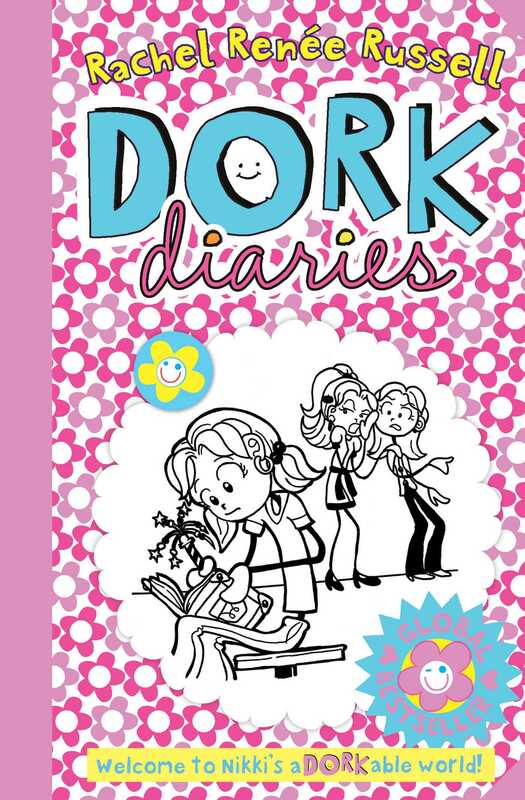 in the first book in the mega-selling Dork Diaries series – now with over 45 million copies in print worldwide! Nikki Maxwell has never been popular but now she’s started at a new school, she’s hoping to leave her old dorky ways behind! Follow Nikki's adorkable life through sketches, doodles and diary entries as she spills all the details of her not-so-fabulous life full of BFF drama, hopeless crushes and an extremely cringe-worthy family! The Dork Diaries series is fast becoming my favourite for younger readers ... More please! Dork Diaries is so laugh-out-loud funny and original I stayed up late reading it, just to see what would happen next - and to get that next laugh! Filled with fun illustrations, and fonts that keep you looking, Rachel Renee Russell has created for girls what Jeff Kinney did for boys with his Wimpy Kids series.